Discussion in 'Ride Reports - Epic Rides' started by Abosit, Feb 12, 2016. Hi Fellow riders, I have been lurking on the forum for years and absorbing all info I could. Thanking all of you for bringing valuable info to many riders who want to be long foreign distance travelers. My english is not good and make many mistakes grammtically but also spelling so bear with me. I turned 70 on xmas day 2015 and had decided that I should not wait to long to finally realize my dream. 70 is a good round number I though. 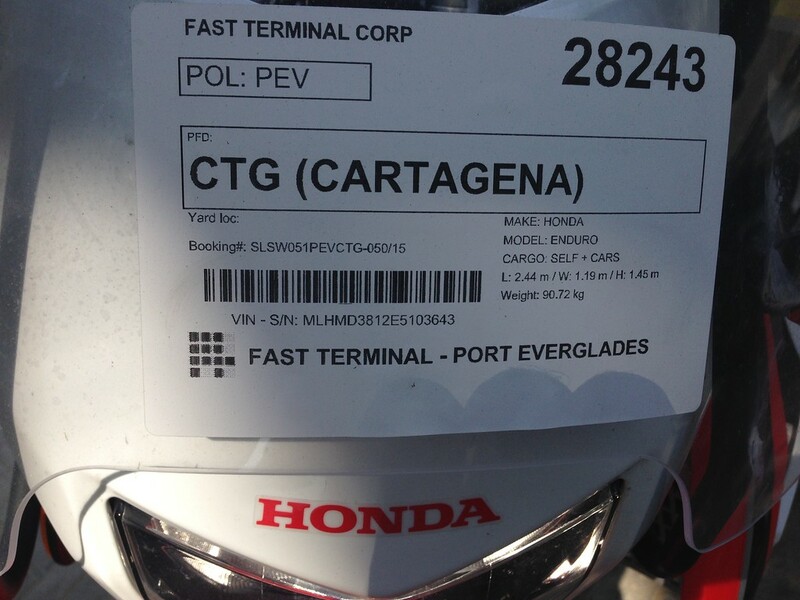 I have shipped my bike from Florida to Cartagena, Colombia by RoRo Sea Line. 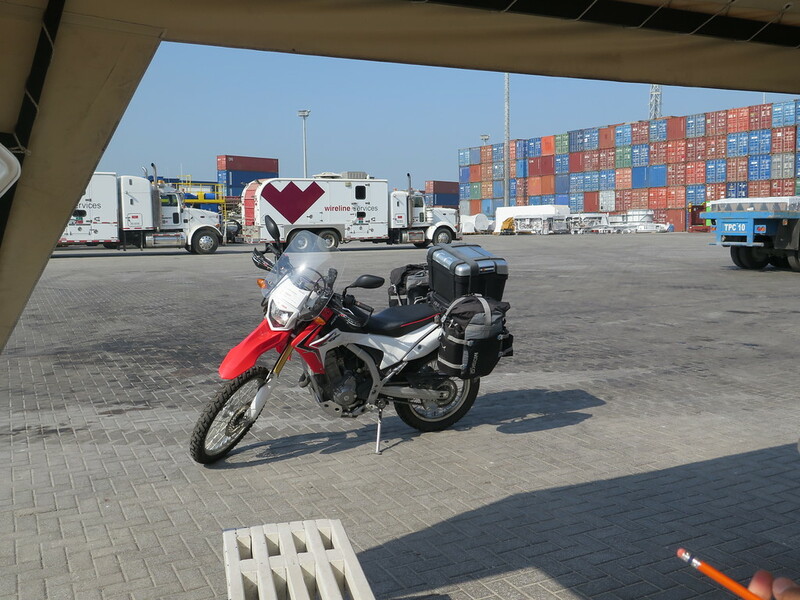 I had looked many ways to ship my bike and decided to use the services from South America Explorer. He is an inmate from ADV and felt confident to rely on their services. There was a delay in departing the vessel, but or course that was out of his control. 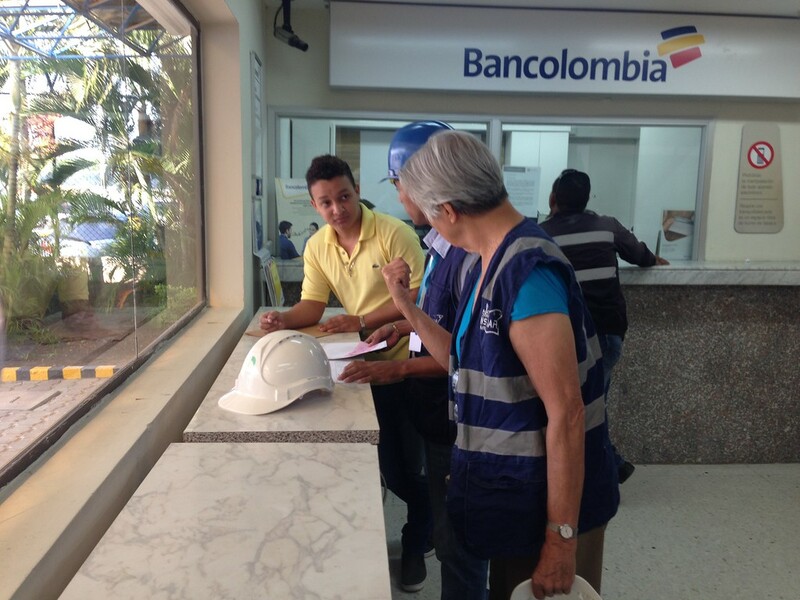 I was amazed about the quickness at the other end of receiving in Cartagena. 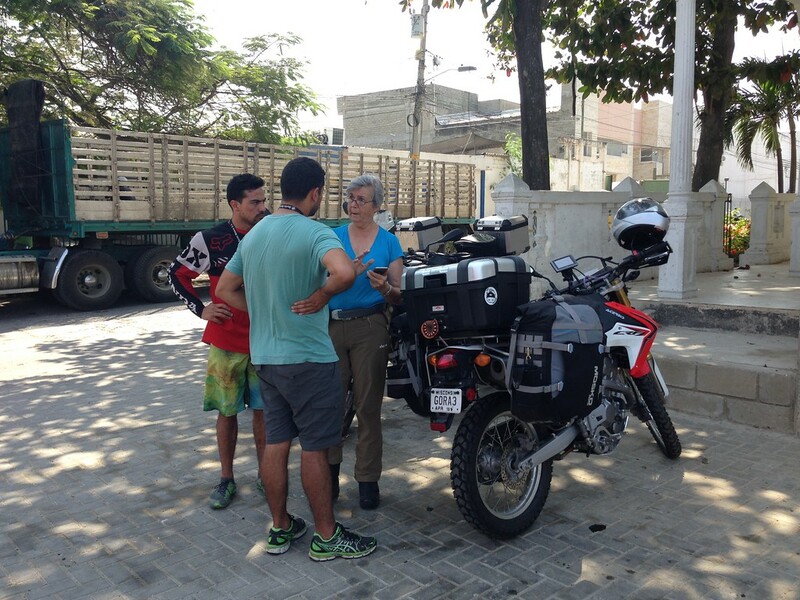 I had asked SouthaAmerica Explorer to have an agent for me in Cartagena to expedite all the paperwork for the temporary import of my bike. Well I must say, ship arrived 4 AM in the morning and I showed up at 8AM to the harbor and by 11AM I was rolling out of the harbor. I was a very happy customer. I left my home in temperatures of -11F and arrived in Cartagena in 88F with very high humidity.. Ufdah.. a shock, but felt great finally in COLOMBIA. I have put some miles already heading South to Medellin and done some sight seeing in the surrounding areas just now am I starting posting. I thought there are more women on ADV who might like to know about my experience in South America. It is different to be a women alone but not more difficult then it would be for a man. My age helps me that I will be looked at as a mother and not as an attractive young girl. I ride a Honda CRF 250 have soft side bags and a hard top case, was shipped uncrated and arrived as good as it was. FR700, OM, TreasureState and 114 others like this. stokerdog and turbodieseli4i6 like this. Looking forward to your report! Learned to ride for my 60th birthday. Feeling younger every year since! Phipsd, Solo Gato, eddie bolted and 12 others like this. This looks good, I'm in. PappasJente, JimmyBlitz and XYooper906 like this. So freaking awesome! Please keep us updated, I look forward to hearing about your ride and will be cheering you on! Cheers from behind the ocean. Thank you guys, I can feel your support already. I am in Cali now, heading tomorrow to higher grounds. The thermostat in my body is not as it used to be and no replacement to find anywhere :) so...... I am heading to Popayán tomorrow early. Beautiful landscapes here and lovely people. Here my bike parked.....not bad...he? FR700, arghhh, Solo Gato and 41 others like this. I am so happy for you Abosit. I will be following along .Seeing the world through your eyes is almost like being there. Gauner70, XYooper906 and Dualsport Chic like this. I'm in for a fellow Wisconsinite! Your English writing is easy to understand. And if you are on an adventure bike ..... then you are an attractive girl. You are off to a great start. Solito24 and brockradioguy like this. This is shaping up to be a great report I'm so in!!! Looking forward to following your adventure. Your setup looks super - Givi 46L top case to secure valuable items (do you have quick release lock or is it “permanently" mounted? ), Mosko quick release Back Country 35L (stuffed to 45L) soft saddle bags, nice 250 to pull you around on. Do you speak spanish? have you traveled South or Central America before? Did you bring camping gear? what are your biggest concerns about the trip, what are you looking to get out of the trip or what motivated you or compelled you do this trip? Take your time with the answers if you choose to share your thoughts on any of these questions. I know you are probably super busy right now and spending a lot of energy just adapting to the new conditions you have just been dropped off in. You appear to be well prepared just looking at your bike setup, please be careful on the roads and with traffic as you figure out how to ride in very different riding conditions re: following distances, uninvited lane sharing, usage of horns that have very different meanings that what we are accustomed to in the U.S., unusual traffic maneuvers, right of way (you have none - might is right), speed limits (may be ridiculously low for conditions and conducive to speeding tickets). 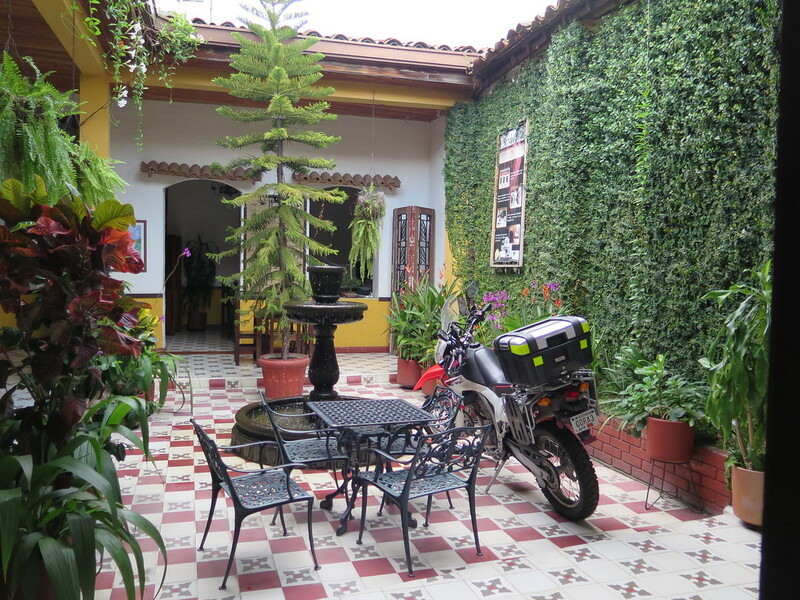 I have riden motorcycles in India and Italy but I have not ridden in Colombia. My general advice for wherever one rides (and this may not apply to Colombia so those who have been there, please correct me if I am wrong) is to ride with the flow of traffic and ride as the locals do but within your abilities. Riding more aggressive than the local “flow” will get you in trouble BUT riding too passively or slow or holding up traffic etc…relative to the local flow is just as dangerous if not more dangerous. And as we get older and wiser, we naturally tend to behave or drive/ride more like the latter description. It seems there are fewer opportunities on foreign roads to pull over to the right to let faster traffic get by, there are just fewer emergency lanes or shoulders and many of the mountainous roads have none at all and sometimes no guard rails either so becoming a traffic obstacle in these conditions that is not fitting in with the flow can be really dangerous. While in your gear, everyone else out on the road that interacts with you will assume you are a high testosterone, mid 20’s, male gringo flying through their country. That may help or be a hindrance to you if your actions, reactions and behaviors don’t meet their preconceived expectations. If you get pulled over by the police, be sure to take off your helmet so they can see you are obviously female (sometimes hard to tell with all the gear on) and obviously a mature adult. There is more respect for both the female and the elderly (sorrow about that word and I’m not far behind you) so they may cut you some slack if and when you need it due to those two attributes. And don’t be afraid to use the “Grandma” or the “Mother” card if getting hassled. Saying…”is this how you would treat your Grandma?” or “if your Mother saw you doing this, would she be proud of you” can be very powerful to a young male doing something unethical that he knows he should not be doing. Go to google translate and memorize the Spanish for those to statements. I’m really excited for you and your awesome trip ahead of you. TreasureState, arghhh, kumatae and 16 others like this. Many of us read these fine ride reports, but don't comment much unless you need help. Just because we are not commenting everyday, don't think we don't have our eyes on you. hightest, arghhh, stuarthw and 9 others like this. IN! This has potential to be the best ride report ever on ADV! Keep it coming! stuarthw, strucky, SMURPH and 2 others like this. You just make the proof there is no age to live our dreams, it's all between our ears. Have fun and good journey! XICAQUE, rpiereck, franx and 1 other person like this.